Whatever our age or mobility a good night’s sleep, perhaps in a comfortable adjustable bed is very important. Call us on 611411 today to find your new bed or to arrange a visit to our showroom. Research suggests that most of us need between seven and nine hours sleep a night, with only one in fifty needing less than six hours. If we don’t get enough good quality sleep it can affect our health and wellbeing, as well as our concentration and mood. and what are the key ways to ensure we do? Healthy lifestyles, a regular bedtime routine i.e. going to bed at roughly the same time every night and of course a comfortable bed feature at the top of the Sleep Council’s list. Adjustable beds are one way of making sure you get the best possible comfort in bed. If you already own a reclining chair you’ll know what we mean. A motorised adjustable bed allows you to put the bed in the most comfortable position for you. So inclining the upper body to a comfortable sitting position, whilst raising the knees so that you don’t slip down the bed, means that you can watch the television or read with ease. 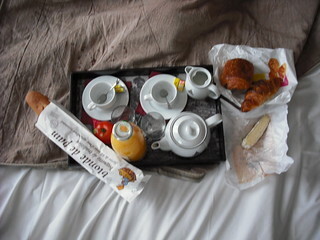 It’s even a good position for breakfast in bed! Perhaps even more importantly, slightly tilting both the top and bottom of the bed can put your spine in its correct position and aid a comfortable night’s sleep. This is good for all of us, but particularly important for people suffering from a bad back? The beauty of modern adjustable beds is that you can operate the motor using a hand-held control without getting out of bed! An adjustable bed is suitable for everyone, but even more so for those of you who find getting in and out of bed difficult. Certainly being aided into the sitting position is enough for some conditions where the core muscles aren’t strong enough for you to lift yourself. A physiotherapist may advise on additional help, especially if you have difficulty sliding across the bed from sitting to lying down or lifting your legs onto the bed. A pole or grab rail next to the bed can often be all the assistance you need to make sliding across easier. Sometimes it is actually standing up from the bed that is difficult, so beds where the height can be adjusted are often all the help you need. All of these things help to keep you independent no matter what your condition or age. You can get beds that just raise the top of the mattress or ones that have two or three adjustable points. Once upon a time it was only hospital beds that were adjustable but over the last thirty years or so, they have become more popular and more available for the domestic market. Most modern adjustable beds have slatted bed bases which of course aid the movement of an adjustable bed. The Sherborne Dorchester Adjustable Bed - See it in Stoke on Trent. This is a great modern adjustable bed that not only resembles a good quality regular bed and one you’d be proud to have in your bedroom, but it also has up-to-the-minute technology and is particularly strong. In fact it can be used by people who weigh up to 25 stone. This bed is suitable for those who just want a good night’s sleep or for those who have mobility issues. After all we spend at least a third of our time in bed, so we need to be as comfortable as possible. The Sherborne has a newly developed action with a very worthwhile 5 Year Guarantee for all its adjustable functions, its frame and of course its electrical parts. That means the guarantee covers the bed and the adjustable frame, the electric motor, transformer and control box, as well as the handsets. All other electrical parts of the bed are also covered in the 5 Year Guarantee. With the added comfort of a top layer memory foam mattress supported by a thicker layer of reflex foam, the bed is not only ultra comfortable but designed to work with the adjustable frame. The memory foam has the added bonus of relieving pressure, which is particularly good for those with limited mobility in bed. The addition of a Cool-Max cover for the mattress helps to resolve any over-heating problems that may occur whilst you sleep. The availability of the Supreme Mattress, which has a slightly softer top than the standard one, also helps to control the temperature. Of course if you prefer, you can also take a medium or firm mattress. This British made bed is aesthetically pleasing and would make a great addition to any home without looking out of place alongside your other furnishings. The beds have a fully upholstered drawer for storage in the bed base too. The double beds are similar to two single beds joined together allowing one side to be adjustable. However we bet your partner will want to experience the comfort and movement of the adjustable bed too. The Sherborne’s dual controls allow the top and bottom of the bed to move independently of one another. They can be adjusted separately using the sleek backlit hand control unit, which also has memory functions built-in as standard. If you’re looking for a top quality bed to do the job, the Sherborne is your strongest and most reliable option. It is also sent by Express Delivery so that once you’ve decided this is the bed you want; you won’t have to wait too long for a comfortable night’s sleep. Also available in Acapulco Grey or Acapulco Brown, why not visit our Stoke on Trent bed showroom to see one of these fabulous Adjustable Beds in Acapulco Fawn .